EA Wants "To Be 90 Plus Metacritic at Everything"
EA wants Origin to be the Facebook to Steam's MySpace. Despite being the brainchild of one of the biggest publishers in the business, EA's Origin service is still playing catch up with the established market leader, Steam. 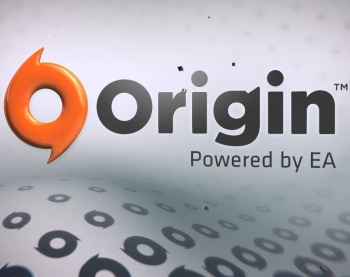 Valve's Gabe Newell recently said that Origin has yet to do anything "super-well," but EA's senior VP of global eCommerce, David DeMartini, claims the fact that Newell is even talking about Origin is a good sign. "Gabe was quick to point out in the first time he ever spoke about Origin publicly that he didn't think we'd achieved that yet," he told MCV. "I would agree with that - we're on a path of constant improvement. I didn't expect to be able to out-feature Steam within the first 12 months. But I'm quite optimistic we will differentiate ourselves as a service. We've built the foundation and now we are starting to add value to the service off of that foundation." DeMartini accepts that Origin isn't doing anything particularly new, but argues that it's a worthwhile product nonetheless. "If MySpace had stayed the one answer in social networking and no one switched to Facebook, then we'd all be stuck on MySpace right now and we wouldn't have had the Facebook phenomenon," he said. "There are better mousetraps that ultimately get built out of this innovation," he continued, "and the only way you get to the innovation is to have other people try and do a better version of what someone has previously done. And that's what we're attempting to do on Origin." He went on to list a few hard numbers about the Origin service; Over 12 million have downloaded it so far, it's picked up 50 partners in the space of a year and it made an impressive $140 million last year, a 400% increase of the year before. "EA is in a really interesting place," he added. "We have this bar that is set so high, so that whether it is any of our games or services, we want to be 90 plus Metacritic at everything. "Origin is moving in that direction. We are not there yet. We understand that. But we are going to get there soon."